Miss Yeates, 25, has been missing for a week. She was planning to spend last weekend at her flat in Clifton, Bristol, to prepare for a party. Her live-in boyfriend, Greg Reardon, 27, reported her missing on Sunday after spending the weekend away with his family in Sheffield. Miss Yeates was last seen leaving the Ram pub in Bristol at about 8pm on Friday after a drink with colleagues. She shopped at a Tesco Express half-an-hour later, when she picked up a pizza. An urgent appeal for Missing Joanne is currently on TV and Internet and I have been asked if I could look to see what might have happened to her. All I can give is general outlines of various circumstances. Tarot is not 100 per cent accurate and covers past present and future. Please look to other factual sources for reference and facts. The first card I have for Joanna is the Knight of Pentacles. This is someone who is connected to 'work and business' and can even be a boss. The Knight is someone who comes from the 'outside' he is dark eyed, dark hair considered to be reliable and responsible. This card shows an 'arrival' so this person has turned up, possibly on foot or in a car as this card can be either. I see Joanne as being quite careful about money so what did run through my mind was whether she was going to change the Pizza and went out to do that, but then I see this Knight of Pentacles and this also represents companionship. The Queen of Pentacles which comes up afterwards shows a woman who shares things and I feel Joanne was in 'sharing company' as she has a bit of a hostess about her in the queen of pentacles. Its almost as though Joanne was going to take the pizza back because something or someone might have offered something else so it made sense or because there might have been something wrong with it. But I do have a work person here and someone who 'arrived' so it does seem to be part of the situation. The Queen can also be connected as a mother. I also am noting other things though. A change of residence here so it should imply her going to 'another house' or another building - Knights of pentacles can sometimes be someone with a bit of money and it makes me wonder if she was going to take the pizza back perhaps and did,nt because the change of plan was so spur of the moment and got offered to do something else very suddenly. Im seeing crossroads here and for some reason Joanne being the type to worry about money. I dont know if its the pizza thats such a big deal here but I feel money is for some reason. I feel as though there is something that could be connected to her home, finances and someone who has arrived to suggest something very quickly and she has decided to go with that. I apologise that I am wavering between two things but they seem to be connected. Knight of pentacles is someone about late twenties to 30s. I see some connection between Joanne and this person and some money issue. It really could be to get her money back on the pizza. The Knight also gives 'messages' so it seems she did also receive some kind of message of some description. I see the Queen of Pentacles is next to the knight which also makes me wonder whether Joanne was going to speak to her mother about something - all these things seem to run into one. I dont know if Joanne has connections with the 'country' but Im feeling like someone has come from a distance here at some point. It is a little confusing. I also want to make mention of any ex-boyfriends because the Knight of Pentacles can point to that and it can also tell us about someone who is very pennywise and might have been re-considering a purchase of some description hence my thoughts about the pizza but it could be about her own residence. This card bothers me because on this card it shows she was planning to go somewhere and for some reason this is halted. There are delays in where she was going to go. She has made some kind of poor decision either in love, business or travel or in fact all three so this is definately showing me that someone else was on the scene at the time. I do concern myself about this card as it seems to point out to some guilt. I cant say this is all to do with Joanne or whether its to do with someone around her, but thats what Im getting guilt from the past or something to do with the past here. I can see some bad concience here and also I can see quarrels and arguments about work too so I dont know who is arguing with Joanne but somebody is and this shows arguments with people at work or some kind of disagreement. This can even be a jealousy card so it is making me wonder whether Joanne had a problem with someone who she worked with and this has come into being. Im still wondering if someone was going to share food with her. They were slow to arrive and she went with them WITH the Pizza to somewhere else another house/residence or place. Its as though she might have been waiting for someone and they took their time? The six of wands would have her coming back from 'town/shopping' and the seven of wands reversed sees her not being able to stand her ground about something then the 8 of wands shows her running out of patience waiting and everything being held up somehow hence she has taken some action. The 9 of wands both upright and reversed shows someone with a bandage to their head. This again seems to be a 'work orientated' card so Im feeling that someone from work or something to do with work has everything to do with this case? I see her having to talk with someone and try to find a way of explaining something I see such a lot of worry about work and money and its all coming to a head here.lots of anxiety and concern and wanting to lean on someone for support. Im assuming that Joannes workplace has been checked. I do seem to feel that someone from work might have had an impact on what has happened to Joane and the need to go somewhere to sort something out. There are quarrels here so maybe three people involved in reasons for disappearance. When someone disappears it does,nt necessarily mean we should think the worst and at the moment we cant in Joannes case unless Im missing something in these first few cards. Well here is the Lovers reversed which is kind of putting together something I thought I was seeing. In a relationship everything seems to have gone wrong somehow here. Contrarities in love affairs is strong disagreements in relationships and possible infidelity so I dont know if Joanne was being accused of something and there is jealousy raising its head here which has created a huge problem. The Lovers really can point to a lot of interference in relationships. The Lovers card sits next to the Chariot so I see her in a car when I ask where she is. Whether thats on a journey or not it is still in the cards. It shows going out of the immediate town. I have a six of cups linked to the Lovers cards which shows her going to someone she already knows and its somewhere 'in the past' . Does she have an ex boyfriend? Im seeing a three way relationship here. Sometimes the Lovers can represent in-laws but I cant really say that is where she went all I can do is throw up everything I see and hope somehow it highlights SOMETHING. What I really see are quarrels, a relationship and someone connected to work and jealousy. I might be wrong but I give tarots suggestions on the matter which wont be 100 per cent accurate. I am seeing a 'home' here but I dont know whose it is or whether its just a building but I see her connected there as Cancer is home it can also bring up 'accidents' with the Chariot reversed which may not be the case but as the Lovers are reversed we have to look at the fact that the chariot might be also. Cars that are stationary can be connected to garages or workshops. I just dont have a direction on the Major arcana cards which is pretty difficult as we do need to know but it seems to have indicated the direction of the journey and connections are already in the cards? I dont know if Joanne has rejected some good advice about something but I do see her in a very difficult situation with someone and wanting to sort it out. As a very outside Glimpse there is a dog in the cards. I am being given the card of the home for when Joanne will be found, the 10 of pentacles. Pentacles are years - so the year 2010 I hope that means before the end of the year is out and linked to home???? I dont know if its her home or whether its a home belonging to someone close to her or someone in the family and all I can do is leave that thought. I will look again for Joanne it does seem to have been rather complicated on the day of her disappearance as there are other factors involved and not just a woman that walked out the door and disappeared. The Nine of wands that I have seen may indicate 'headaches' at work so I thought I would mention this. I cannot give guarantees for anything I have seen but I just leave what I feel I have been given and hope it helps in some way. Dogs do come up again on the 10 of pentacles, I see at least two. I keep wondering if Joanne was going to come into money its a very odd thought and dont know why it crossed my mind but I leave that anyway. I do have a direction for this card it is NORTH Winter and Midnight. Please bear in mind tarot has considered various circumstances that MIGHT apply to Joannes situation this does not mean they ALL apply. (It would REALLY help if people READ the tarot PROPERLY before they make comments on this blogger. Tarot is NOT 100 per cent accurate and it will reveal ALL circumstances that could be referenced to the card that is drawn. Tarot also will reveal what is in News reports whether the information is TRUE or NOT TRUE and it will do the same with rumour in advance of the press. Please read the notice at the beginning of each Tarot Case so that you understand exactly how tarot presents its findings). THERE IS ANOTHER TAROT READING DATED 26TH DECEMBER WHICH I WILL PRINT MUCH LATER. NEWS UPDATE 25 DECEMBER 2010There are quite a few validations in these news reports to Tarot on 23 December 2010. The body of a young woman has been found by police hunting for missing Bristol architect Joanna Yeates. It is understood, but has not yet been confirmed, that the body is of the missing Clifton woman. Detectives said a couple walking their dogs found a body in Failand, North Somerset, on Christmas Day morning. The woman's body was discovered at 9am in a verge in Longwood Lane, off Long Ashton golf course. her body was fully clothed and there were no obvious injuries. One theory is that Miss Yeates was abducted, knocked unconscious and then died of hypothermia after being pushed out of a car and into the snow. "Mrs Yeates, 58, said her daughter had been busily preparing for Christmas and had been planning to make mince pies at the weekend, printing out a recipe from the internet and tucking it into her diary. She said: "She had a new flat and new things and wanted it to be special for Christmas. She wanted to finish Christmas shopping and do some baking for Tuesday, when friends were due to come round for a Christmas party."" Chris Jefferies, 65, reportedly saw three people leaving her property on December 17 shortly after 9pm - not long after Miss Yeates, 25, arrived home alone - as he parked his car in Canynge Road. A 65-year-old man arrested by detectives hunting the killer of Joanna Yeates is her landlord Chris Jefferies, Sky sources say. Heres a new report saying that the Landlord helped fix the car that the boyfriend Greg Reardon used to go to Sheffield to see his brother. Joanna had dinner about 12.30 with her boyfriend at a local pub 7 hours before he was due to visit his brother. Joanna Yeates may have been killed by more than one person, the detective leading the murder hunt said, as he confirmed her landlord remains a suspect. THE body of murder victim Jo Yeates was found without a coat or shoes and only one sock. 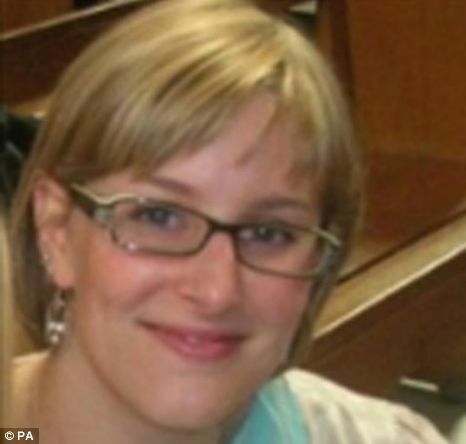 Cops believe it suggests the 25-year-old landscape architect met her grim fate at her home. She may have been abducted - or strangled there by a killer who carried her body away before dumping it in a snowbound lane. The shoes and coat were found at Jo's flat in Clifton, Bristol. But the two-tone grey sock, which has pale detail on the toes and shin, is missing - and could have been taken by a "trophy" killer as a grisly keepsake of his crime. Murder victim Joanna Yeates could have been strangled with her own sock which her killer might have kept as a trophy. Police believe the missing grey ski sock may hold the key to solving the murder of the landscape architect whose snow-covered body was found on Christmas morning. Det Chief Inspector Phil Jones, who is leading the murder inquiry, has not ruled out the possibility the 25-year-old's killer may have used the sock to strangle her or that they kept it. Detectives know far more about who murdered Joanna Yeates than they are revealing, according to a leading criminologist. A DUTCH man accused of killing architect Joanna Yeates has appeared in court. Vincent Tabak was remanded in custody at Bristol Magistrates' Court to appear next at Bristol Crown Court. Tabak — Jo's next door neighbour — spoke only to confirm his name, age and address. Tabak knew landscape architect Jo and they worked together on joint schemes for their respective firms, according to a former colleague of his at consultant engineers Buro Happold. They said: "They would have met in her office or on location." Jos father feels they did not know each other but their firms may have worked together. He said: "I've seen him [Mr Tabak] just the once, I've never spoken to him. I didn't know his name, I didn't know what he did. Jo and Greg never mentioned him, they didn't socialise. As far as I know their paths never crossed. Their firms might have worked together but I have no idea about that – Jo never mentioned anything." One of my forumers posted this tarot extract below which appears to link in with todays current news report. Murdered landscape architect Jo Yeates left an estate worth £47,000 – including money she had hoped to use to buy a house with her boyfriend. Miss Yeates was saving to buy a home with Greg Reardon. Under probate laws, he will not receive the legacy because she had not written a will before her death last December. Her parents, Theresa and David Yeates, will inherit her estate, including cash accumulated through an inheritance, savings and an insurance payout following her death. 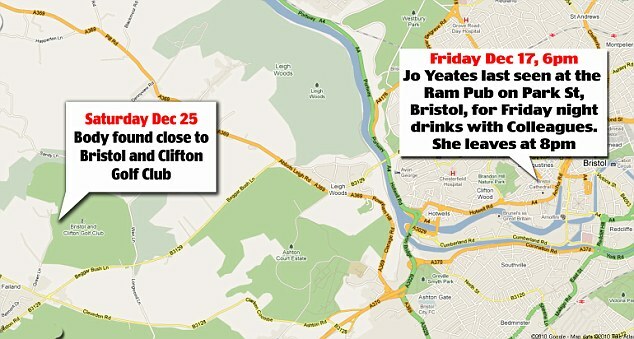 Miss Yeates’s body was found on Christmas Day a few miles from her home in Bristol. She had been strangled. Dutch engineer Vincent Tabak today pleaded guilty to the manslaughter of Bristol architect Joanna Yeates– but denied murder. Tabak was Miss Yeates' neighbour in Clifton where she lived with her boyfriend, Greg Reardon, 27. But he pleaded not guilty to an allegation of murder and was remanded in custody to face trial at Bristol Crown Court on October 4. The trial is expected to last four weeks. I did not print this tarot at the time of writing it because it was controversial in my opinion. Tarot seems to say where Joanna was clearly quarrelling in her own home. I think it is true to say most people were surprised and you will note the 'rose coloured spectacles' remark. Tabak did wear glasses. The cards say this was an accident 'gone wrong'. Tarot is not 100 per cent and I dont get everything correct but it it transpires that Tabak has tried to say the killing of Joanna was an accident as in the News report. I have mentioned it as an accident and suggested that this might have been something 'Joanna' felt but it has come out as that instead from Tabak. This is reflected in todays news report (See link below) whereTabak claimed it was 'accidental' that he murdered Joanna. You will note the word FORGIVE. This is a regrettable situation and the forgive is either Joanna asking to forgive because of inviting Tabak in or it is Tabak asking for forgiveness for regrettable actions . Tarot does try to explain to us in its own way and I do try to interpret it correctly. It also seems that Joanna had 'gone somewhere' (tarot thought she had taken the pizza back perhaps) but in fact she went back to the foodhall but inside the car Tabak was driving. Some details are still unknown according to current reports but I have given what I felt Tarot had told us and it did reveal some correct details regarding description of Tabak. RIP Joanna, a very sad situation. During the trial Tabak, who lived in the adjoining flat to Miss Yeates in Canynge Road, Clifton, claimed her death had been an accident. PLEASE NOTE - Tarot picks up past present and future 'vibrations'. Referring to a person is simply their vibration through intuition and not alluding to mediumistic qualities. I feel that Joanna was kept in the basement or cellar of a building. I think she knows the building. It might be a building that was her home or to be her home or has been her home for one thing it IS a house and she was underneath it whoever it belongs to its a FAMILY HOME. I am seeing a very close connection to her but she does,nt want me to talk about it - she says 'forgive'. On that note what else is there to say its what she is asking. I know what I think but I cant spell it out as it is,nt fair to her is it? I think this case if the perpertrator is found is going to really open up some eyes and remove rose tinted glasses. It might come as a bit of a shock because it was an accident gone wrong. This card bothers me because on this card it shows she was planning to go somewhere and for some reason this is halted. There are delays in where she was going to go. "She told Rebecca from Swansea, who gave evidence the other day, that she was bored and explored the possibility of travelling to Swansea to see her. The weather ruled it out. I have highlighted some information below sentences in the original tarot to give some clarification on how it has tried to give us information. You done a good job here Empathy. I hope that this case would be solved. I wish that from my heart. My sympathies go to this family. Im sorry to say it was Joanna that was found on the side of a road. There will be more details about this case to be revealed. It seems that someone must have been in her flat from what the parents say. I will post more on this as the news comes in to see if Tarot has helped with any more of the details. This is all so sad for the family and at this time of year my heart goes out to all those close to her. First of all, God Bless to Joanna's family, loved ones and friends with their grief. Though the pizza is a valid concern and issue, I also wonder if it is a genuine clue or a red herring? Sorry i have to be Anonymous but i cant get my head around the working of this post thing. Intuitive thoughts have linked amazingly with your tarot. Ex Boyfriend raging jealousy over her relationship with GR. Did she have an ex called Graham? Link to Sedgefield ? I think the most logical explanation is that Joanna came home after shopping. She drank some cider and made the pizza for a late snack. Her intention that night was to begin cleaning her flat in anticipation of a party the following Tuesday. Having eaten the pizza, she decided to start cleaning, filling a garbage bag with the empty pizza box, the wrapper and other refuse around the flat. She made her way outside the flat to throw the garbage into the bin. She was at the wrong place at the wrong time as a killer was there outside...perhaps stalking in the area. Joanna would not have taken her purse, cell phone or keys to throw out the garbage. Most people don't grab their personal items when taking out the trash. Someone heard a scream around 9:20 pm so the time line fits this scenario. This might sound very silly but i need to put it down somewhere. The day they found Joanna that night i had a dream that i was watching a girl in a lane with two young men in darkish blue overalls (mechanics came to mind). One asked her to walk up a banking when all of a sudden the other one ran at her and attacked her. They drove away in a car . I was so shocked in my dream i could not breath. I tried to take the reg which started B406... This has played on my mind ever since and when I read today there was more than one person with hear it gave me shivers. Volvo S40 was taken away from the house so it is possible you was getting a insight from a dead relative....Did you get your B and S mixed up BS They look much the same... The 2 men in blue...Not to shore yet but it could turn out he was in very dark clothes that night he dumped her...The S40 i cant get the reg on it yet but i am hunting for it and the Chrysler....It would make sense of why he moved the body and if he did then he would have dragged it round the back of the flat to his side drive....I said at the start after looking at the case from above on a Bristol map all this blokes done is go round in a circle back to were he lives. Still its not dead set it was him yet but he looks like he has had some very sleepless nights and he looks like he took a knock or two around the face. He is also had a roll up high neck top on all week so that could be scratching to the chest and upper neck. Going by Empathy's insights, the landlord could be released without charge, as nothing fits. Empathy Insights are written for the purpose of helping to FIND/LOCATE a Missing Person and not for seeking perpetrators. In every case I only ask three questions of tarot that might aid the families. Where is the person in question to be found? When will they be found? Joanna has now been found and Tarot has correctly and accurately stated what direction Joanna was to be found and when. Tarot has done its job on TWO out of three of the questions. The details regarding 'what happened' are still to be revealed to the general public. Until then, tarot cannot validate any of its findings in that question at the current time. Well i will tell you how i see this may have happened. I am not saying it did i am just saying it all fits and i think parts of it may well come true. First we see Joanne go to work then we see her landlord helping her boyfriend start his car to go to Sheffield this was done by aid of a friend of the landlord that is very mechanical minded and owns a Jeep. I see the landlord talking to Greg and Greg telling him were he was going and that Joanne was going for a drink with work pals. Now i see the landlord in her flat in the bedroom going though her underwear draws some thing he has done before i see. Only this time he did not reckon on Joanna coming home so soon. Joanna walks in the flat puts her keys down takes her coat of puts the pizza on the side and opens the cider bottle pours a drink. I see the pizza in the oven and her drinking. In the mean time he was in the bedroom heard the door go and thought dam this cant be happening i have to get out of here. I see him standing behind the door. I then see her get up and go to run a bath turns to get some thing from the bedroom opens the door opens her clothes draw takes some clothes out turns round and he is looking straight at her from the corner of the room. I see her freeze with fright then scream and run for the door i now see her in the hall way trying to open the door he is behind her she lets out a scream again i then see her lash out at him 3 or 4 times. I then see him pinning her to the door by the back of her neck and pushing her face hard against the door and the life goes from her very fast. He is panicking he did not mean for this to happen but its to late. He is panicking now he drags her back into the flat and i see him checking her pulse many times i can also see him saying oh god no no no. He gets up goes round to his flat backs the car up to the side of the drive back garden he is panicking like mad runs round the back way to the flat goes in and is now putting a coat on her but its not the coat she came home in because he has no idea what coat she was wearing. He drags her out by her arms he is holding her under her arms i then see him dragging her round the back to the car he is in a state he cant breath and he is struggling to get her in to the boot. He is driving now i can see a bridge but i don't think its the Clifton the swet is pouring from him. He turns up a lane but some thing is not right he turns around again and turns up longwood i can see him again struggling to lift her out. He drags her out of the boot her legs hit the road and he pulls her in to the bank side she is face up. He is driving away now very fast he is breathing heavy again now he is going over the Clifton i am shore its the Clifton he came back over he drives the car in to the driveway and is turning it around and parks were it first was. He now goes back to her flat goes in and is picking things up he then pulls the door its locked. He is now pacing around his flat holding his head with his hands thinking this should not have happened.........He has been in that flat many times. Joanna is now sleeping. Peace be with you Joanna your family love you all ways. I had a theory about her work situation as lots of worries about work indicated by Empathy, that's all I meant about it not fitting in with the landlord's arrest. Empathy's insights are indeed accurate. However the above scenario with the landlord seems like it could have happened that way. I have noted your feelings about the comments that posters are making here in Joannas thread Lizy. Hopefully you have made your point and others who come to post will comply. Hi Empathy, I look forward to your tarot reading which you did on the 26th Dec. I presume you will post it up here 'much later', when perhaps the police will have hopefully unravelled this case? Let's hope they do. What a wonderful intention you have to use Tarot in this way to aid the search for missing people and perhaps in this case some answers for Joanna's family. I have read the reading and can see that much of it has relevance to the findings thus far. As the police think about whether Joanna knew the person & to take DNA tests in the area - I have a clear sense that she did and that the Tarot's guidance that work and relationships are relevant. I am wondering why the investigators are not searching Winchester where she lived and worked only a short time ago, the connection being closer to "home" as the Tarot suggested (I believe she grew up near Winchester). I hope that this case is resolved soon. Hi ya Empathy its me you no the trouble maker lol edit that bit out will you please. So what do we have. For a start how are you. Good i hope..Now next we have someone who is connected to 'work and business..The bloke at the moment if proven guilty well his company did cross paths with Joanna's...Now lets move on the next part...dark hair considered to be reliable and responsible....Jesus that could not have been more true....Ok we have A change of residence here so it should imply her going to 'another house' this is not fact at the moment but as you no they were looking in a house a mile away for any of her DNA in case she was took there dead or alive. This is still yet to come out and be proven but all the same its pretty spot on...And then we have Knight of pentacles is someone about late twenties to 30s..Only 2 years out sweet so thats very good work...Now we go on to ...I dont know if Joanne has connections with the 'country' but Im feeling like someone has come from a distance here at some point. It is a little confusing. I cant edit comments there is not a facility to do that. The only thing I can do is publish or delete them unless the person wants to re-write the comment? Regarding Joannas case, clearly it seems that not a lot has been told to the public about the 'details' of what happened so we may just have to wait. Tarot is never 100 per cent accurate as I have always stated but it does throw glimpses of what MAY have occurred. Time will tell if any of it has produced accuracies? Please feel free to delete my comments as above, as I dont want my thoughts to cause any distraction hurt or upset to people inspired by this excellent website, thread and blogspots. I do realize that positive well meaning people are genuinely interested in tarot and look to analyse subjects from all posible directions. Also, I am aware that, people may inocently misword and or unintentionaly say things that are not meaning to cause offence. Once published and read, please feel free to delete this comment too. Lizy your comments are always welcome here and I dont see the need to delete them as you write fair and thoughtfully your opinion but if you really want them deleted without question ask me again and I will do this for you. I feel an affinity with the readings you do and will be interested to read the guidance given on that day. Yes I do intend to post that tarot but the time is not yet right. Many thanks for your response Empathy. I am following the trial and thinking back to the reading and it reflects the things being told fairly accurately in my opionion. Are you still planning to publish the reading you did the day after Joanna was found? Yes I will post this very soon Sally. I think it could be 'poignant'. Thank you for posting the reading you did on teh 26th December, it is indeed poignant and the cards did give a lot of information that seems relevant to what we have come to know.